My Literature Compass article went live last week and I’ve been waiting to post about it; the idea for the piece was originally that it would try and locate my book (The Age of Analogy) within the subfield of literary criticism called “Romantic science and literature.” Along the way, though, I became more interested in what the field might tell us about the Anthropocene and the new “planetary” solidarity that, some argue, is required for a collective action that can address global warming. Looks simple, right? Turns out, though, that formatting poetry is hard in html, in part because it makes it difficult to tinker with line spacing, indentation and other formatting issues. The css that Literature Compass uses does have a block poetry class, but (ironically) it makes a hash out of the lines (when it was first published, the first line was broken at “the” and the second at “no,” producing “The sedge is wither’d / from the lake And / no birds sing”). This article surveys recent scholarship in Romantic science and literature, exploring what such studies may offer the recent “planetary turn” in ecocriticism and postcolonial research on the Anthropocene. Situating these studies in a longer critical history, it explores their implications for how we engage modern climate science. The “Romantic century” 1750–1850 marks both the dawn of the Anthropocene and a formative stage in its sciences and technologies, from the industrial revolution to modern theories of climate change and ecology. Because ecocritical writing, including green Romanticism and ecofeminism, as well as research into colonialism, empire, and global capitalism were traditionally skeptical of Western science, their recent theorizations of “planetarity” do not adequately confront a new investment in the empirical claims of global warming. 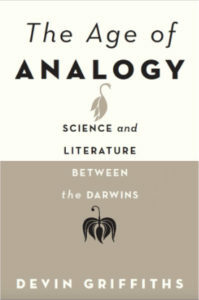 Positing that the traffic between science and social forms is asymmetric – two-way but uneven – the author argues that Romantic science and literature both furnishes a sophisticated historical epistemology for planetary studies and, in its concern for the technologies, genres, and social forms that produced the Anthropocene, an “epistemology of the climate” that may help us dig our way out.